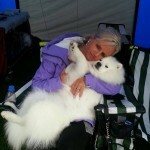 DOGSHOW IN SKUDENESHAVN 27 – 28/JULY : Day 1 : Jasams U Make Me Smile, «Snoopy» BOB – 4 BIG puppy , owner Gunn June Straume. 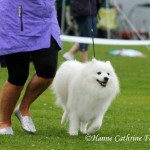 Nuch Jasams Oriental Grandson of Cola, «Beckham» BOB – 4 BIG, Jasams Something Hot’N Harry, «Happy» got his first CAC at his second show, and became 4 beste male , co owner Heidi Stokken. 15 js was on. 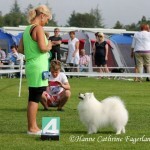 Judge Hanne Laine Jensen, Dk. 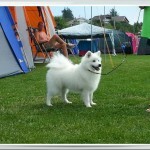 Day 2 : Jasams U Make Me Smile, «Snoopy» BOS puppy, Nuch Jasams Oriental Grandson of Cola, «Beckham» 2 best male…. and then I got myself a really big surprise, when my lovely, but very young » Happy » ,Jasams Something Hot ‘ Harry became BEST OF BREED with his 2’nd CAC 🙂 15 JS was on. Judge: Marija Kavcic, Slovenia.